Old memories, how vivid they can be. I recall quite well when my brother was born. At the time, I was three years old. My first day of kindergarten at Lakeside Elementary school still stands out in my mind. And although it’s been more than 30 years, I remember my last act as a high school senior as though it were yesterday. In my case, I finished a typing test then went to get lunch at the neighborhood McDonalds with a friend. But there’s something else I remember from my youth. I remember being afraid of Romans 9. It was part of the Bible. That I didn’t question. But Paul’s great chapter on election and reprobation, his teaching about predestination, did not sit well with me. If I looked at the chapter at all, it was with the same sort of apprehension that a man behind in his payments looks and his credit card bill – out of the corner of his eye, hoping against hope that he won’t see what he knows is there. By nature, I like to think that I’m in charge, the captain of my own ship. And Romans 9 just ran roughshod over all that. “Does not the potter have power over the clay, from the same lump to make one vessel for honor and another for dishonor?” asked Paul rhetorically, clearly demanding a “yes” from his readers. “This can’t be right,” I would think to myself and quickly move on to a more comfortable subject. O Lord Keynes, Hear Us! The Sacrifice of Elijah Against the Prophets of Baal. Luca Giordano ca. 1650 -1660. In 1 Kings 18, we read the account of the famous head-to-head between Elijah and the prophets of Baal. Elijah had challenged Baalites to a prophetic version of a pistols-at-noon duel. The supports of Baal would have their opportunity to call upon their god, Elijah would have his opportunity to call upon his. Addressing the people of Israel, Elijah set the terms of the challenge by saying, “I alone am left a prophet of the LORD; but Baal’s prophets are for hundred and fifty men. Therefore let them give us two bulls; and let them choose one bull for themselves, cut it in pieces, and lay it on the wood, but put no fire under it; and I will prepare the other bull, and lay it on the wood, but put no fire under it. Then you call on the name of your gods, and I will call on the name of the LORD; and the God who answers by fire, He is God” (1 Kings 18:22-24). 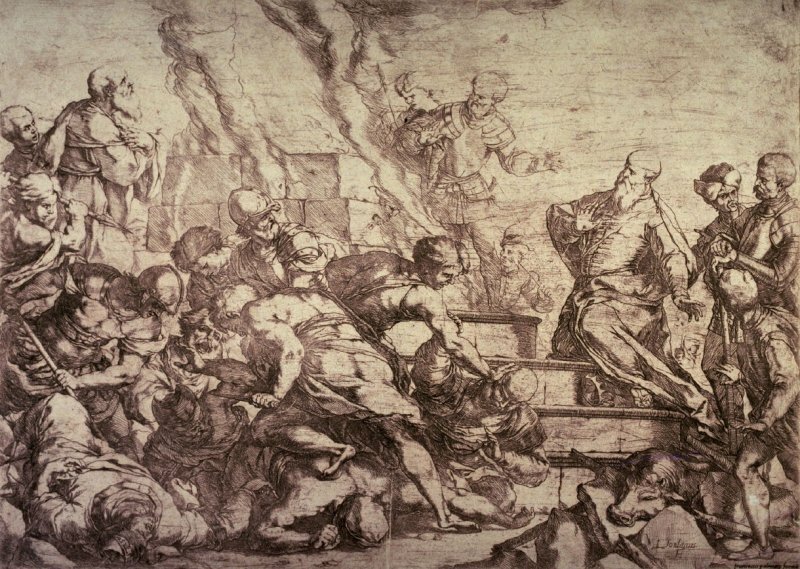 Could the priests of Baal call fire from the heavens to consume the sacrificial bull? This was a fair challenge, and one the Baalites could hardly refuse. Had they taken a pass, they would have cast doubt on their entire belief system. Elijah had them cornered. Scripture tells us, “So they [the prophets of Baal] took the bull which was given them and they prepared it, and called on the name of Baal from morning even till noon, saying, “O Baal, hear us!” (1 Kings 18:26). But for all their infinite passion, nothing happened. This had to be enormously embarrassing for both the priests and for their royal patrons, King Ahab and his wife Jezebel. Taking advantage of their obvious failure, Elijah mocked the Baalite prophets, saying, “Cry aloud, for he is a god; either he is meditating , or he is busy, or he is on a journey, or perhaps he is sleeping and must be awakened” (I Kings 18;27). Faced with the prospect of a crushing defeat, Baal’s prophets doubled down on the only trick they had. Unfortunately for them, that trick, which already wasn’t working, was about not to work once again. Scripture tells us that in response to Elijah’s sarcasm, the prophets of Baal, “cried aloud, and cut themselves, as was their custom, with knives and lances, until the blood gushed out on them. And when midday was past, they prophesied until the time of the offering of the evening sacrifice (I Kings 18:28, 29). What was their reward for all this effort, all this blood-letting? Crickets. The sound of crickets. The Bible tells us, “But there was no voice; no one answered, no one paid attention” (I Kings 18/29). Those familiar with the account know how it ends. The Lord answered Elijah’s simple prayer and sent fire from heaven that consumed “the burnt sacrifice, and the wood and the stones and the dust, and it licked up the water that was in the trench” (I Kings 18:38). Adding injury to their humiliation, Elijah ordered the execution of the false Baalite prophets. The problem with the prophets of Baal wasn’t their lack of passion. It wasn’t that they didn’t give it their all. The reason they failed was simple: they had a flawed concept of reality. They had turned their back on the Lord and embraced a lie. Professing to be wise, they had become fools. 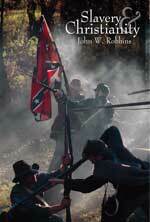 by John W. Robbins (Unicoi, Tennessee: The Trinity Foundation, 2007, 84 pages). As Christians, we are called to bring every thought into captivity to Christ. That is to say, we are required to judgeallthings by the Word of God. And by doing so, Christians living in the West more and more find themselves at odds with their own societies. To the cheers of just about all the movers and shakers in the US, this summer the Supreme Court of the United States legalized so-called gay marriage in all 50 states. Many Christian writers have objected to this very clear rejection of the Law of God by citing the Bible. The Bible, they say, condemns homosexuality not only as a sin, but also as a crime. And indeed, they are right in what they say. But arguing from the Bible can be dangerous too. For someone, and it usually doesn’t take very long for this to happen, will be sure to bring up the topic of slavery. “So, you say that the Bible condemns homosexuality,” they will say. “Very well. What about slavery? The Bible support slavery, doesn’t it? After all, Peter tells servants to be submissive to their masters. Even Christian writers have endorsed slavery. The writers of the New Testament were nothing but bigoted, homophobic, misogynist racists. Why should anyone listen to them?” This line of attack is designed to put Christians on the horns of a dilemma. By arguing this way, the opponents of Christianity hope to force Christians into the uncomfortable position either of defending slavery and misogyny, or dropping their Biblical opposition to homosexuality. Too often, this line of questioning reduces Christians to embarrassed silence or incoherence. Chalk up another win for the secularists. Game. Set. Match. 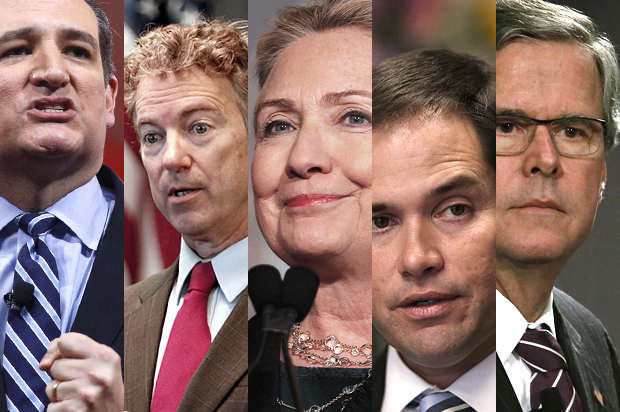 2016 US presidential candidates. From left to right: Ted Cruz, Rand Paul, Hillary Clinton, Marco Rubio, and Jeb Bush. Aspirants to the White House, both Democratic and Republican, have, as we all know, begun “announcing,” thus initiating from a rationalists point of view, a media carnival featuring on both sides, an array of supposedly God-fearing clowns and faith-mongering nitwits groveling before Evangelicals and nattering on about their belief in the Almighty and their certainty that if we just looked, we could find answers to many of our ills in the Good Book (Marco Rubio’s deranged religion, Ted Cruz’s bizarre faith: Our would-be presidents are God-fearing clowns). It’s a safe bet, in fact, that most scientists have a better grasp on the vital verities than anyone rummaging around in Rubio’s beloved “sacred” tome [again, apparently a reference to the Bible] of far-fetched fiction and foolish figments. Yet of the Republicans, the most flagrant irrationalist is clearly Texas junior Sen. Ted Cruz. For starters, Cruz pandered fulsomely to the faith-deranged by choosing to announce at Liberty University, that bastion of darkness located in Lynchburg, Virginia. Once administered by the late Jerry Falwell, Liberty promises a “World Class Christian education: and boasts that it has been “training champions for Christ since 1971” – grounds enough, in my view, to revoke the institution’s charter and subject it to immediate quarantine until sanity breaks out. Tayler goes on to suggest that reporters should challenge the religious beliefs of the candidates, rightly asserting that, “After all, they [religious convictions] are essentially wide-ranging assertion about the nature of reality and supernatural phenomena.” He then proceeds to propose a line of questioning that, at least in his mind, will catch Christian candidates on the horns of an unanswerable dilemma. We will examine Tayler’s questions in a moment. But before doing so, a couple of clarifications are in order. First, many of those attacked by Tayler for their Christianity are themselves likely not Christian, and it is not my intention to defend them as though they were. Marco Rubio, for example, is a practicing Roman Catholic, and thus part of an organization that, not only expressly denies the essential Biblical doctrines of sola scriptura and justification by belief alone, but whose head is the great papal Antichrist of Revelation. Of course, one cannot be too hard on the atheist Tayler for confusing Roman Catholicism with Biblical Christianity. Most professing Evangelicals in the US, and this goes double prominent Evangelical leaders, don’t know the difference either. If Evangelicals can’t get their own story straight, it’s unreasonable to expect an atheist outsider to know perceive there’s a difference. That Rubio suffers no intellectual qualms about combining his Catholicism with attendance at an Evangelical megachurch simply underscores this point. Second, because Tayler uses the term “Christian” in his article to refer generally to anyone who names the name of Christ, I shall follow him in this. To distinguish Bible believing Christians from those who name the name of Christ, I shall use the terms Evangelical, Bible believers, and Protestants. In like fashion, I shall distinguish Christianity generally from the religion as taught in the Word of God by referring to the latter as Biblical Christianity. Third, many of the proposals put forth by presidential candidates under the aegis of Christianity in fact have nothing to do with it. Rather, by their very nature they are actually anti-Christian. The “compassionate conservatism” and “faith-based initiatives” advanced by George W. Bush during the 2000 presidential election cycle are good cases in point. 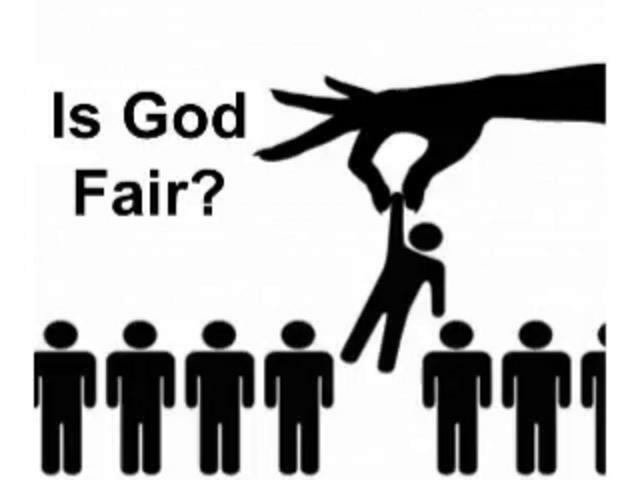 Evangelicals and atheists – some atheists inconsistently hold to the Evangelical principle of limited government – can both denounce such ideas for the fascist claptrap that they are. That said, let’s look at Tayler’s supposedly unanswerable line of questioning. Founded in 1980, Norfolk Virginia based People for the Ethical Treatment of Animals (PETA) has long had a reputation as one of the more aggressive animal rights groups. PETA’s slogan, quoted above, describes as abuse actions that most people would consider quite normal. Such a radical criticism of normal everyday activities calls for close scrutiny. For if PETA is correct in what it says, then it is incumbent on people to rethink their relationship to the animal kingdom. Not surprisingly from a group that has the word “ethical” in its name, PETA’s slogan is an ethical statement. Ethics is one of the four main disciplines of philosophy and answers the question, What ought we to do? It is the theory of right conduct. In the case of PETA, their ethical statement is put in the negative, telling us what we ought not to do, namely: use animals for food, clothing, laboratory experiments, entertainment or otherwise subject them to abuse. On the PETA website, if one click’s on the slogan, he will taken to a page that explains in more detail what the PETA stands for and the reasons for the group’s position on animal rights. From a review of this page, it quickly becomes obvious that PETA is serious about what it says and is quite sincere in its ethical pronouncements. But truth, unlike what so many people seem to think in this anti-intellectual age, is not a matter sincerity. One can be completely sincere in his beliefs and at the same time be totally wrong. What is the Christian to make of PETA’s ethics?